Oculus CTO John Carmack has fired back after Zenimax detailed the former Id Software boss’s alleged misconduct. In the wake of the Zenimax vs Oculus verdict awarding Zenimax $500 million in damages, Zenimax came out guns blazing. In a lengthy statement, the Bethesda parent company outlined the evidence it presented in accusing Carmack of stealing data and attempting to cover his tracks. It was pretty brutal. Now Carmack has replied in a public Facebook post, giving his side of the story. “I disagreed with their characterization, misdirection, and selective omissions. 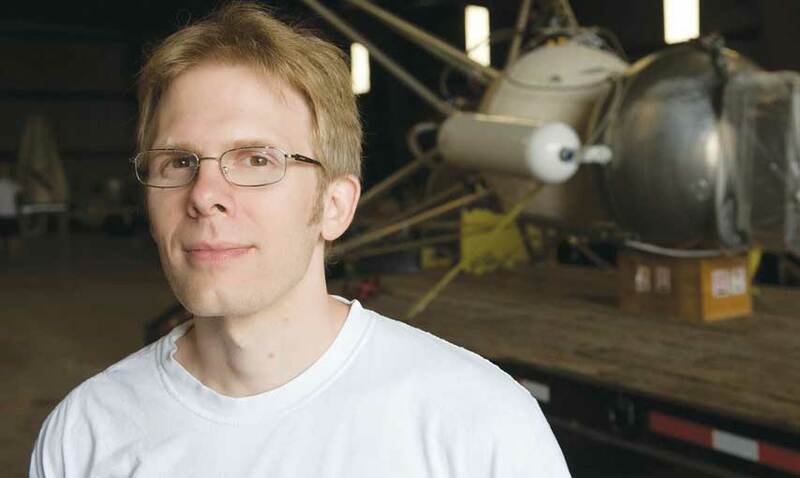 I never tried to hide or wipe any evidence, and all of my data is accounted for, contrary to some stories being spread,” Carmack said. That’s pretty straight forward and to the point, but Carmack had a great deal more to say about the suit, taking aim at Zenimax’s expert witness, who claimed to have evidence that Oculus’s technology included code “non-literally copied” from work Carmack had completed while at Id Software. Carmack said this is “just not true” and that he was “genuinely interested” in how the expert would try to prove it. He then expressed disgust with the expert’s methodology and language, and even joked that perhaps someone was blackmailing the expert to give false testimony. “The analogy that the expert gave to the jury was that if someone wrote a book that was basically Harry Potter with the names changed, it would still be copyright infringement. I agree; that is the literary equivalent of changing the variable names when you copy source code,” Carmack said. Carmack criticised the way the expert presented their evidence, but said that even framed in such a way that nobody could read the code under scrutiny “you could tell the steps varied widely in operation count, were often split up and in different order, and just looked different”. “It was ridiculous,” he said. Oculus’s expert examined and presented the same code to argue that it wasn’t copied, which Carmack expected to “demolish” the Zenimax expert’s credibility – but as the verdict proves, the jury wasn’t as impressed. Carmack is frustrated that he hasn’t been able to read or share the expert’s full report, which is under seal. “This is surely intentional – if the code examples were released publicly, the internet would have viciously mocked the analysis,” he said. The full statement is well worth a read, as was Zenimax’s yesterday; shots fired in all directions. As with most legal battles of this kind, we still likely have several appeals to go before everything is settled once and for all. After Gamasutra brought Carmack’s comments to a wider audience, Zenimax supplied a further statement in response. “In addition to expert testimony finding both literal and non-literal copying, Oculus programmers themselves admitted using Zenimax’s copyrighted code (one saying he cut and pasted it into the Oculus SDK), and [Oculus VR co-founder] Brendan Iribe, in writing, requested a license for the ‘source code shared by Carmack’ they needed for the Oculus Rift,” a spokesperson said. “Not surprisingly, the jury found Zenimax code copyrights were infringed. The Oculus Rift was built on a foundation of Zenimax technology. Well, we did say this wasn’t over yet.